Star hero Suriya’s forthcoming action entertainer, S3, was supposed to hit the screens on December 16th. However, the makers announced recently that the movie’s release has been pushed to the 23rd of this month. In his latest media interaction, Suriya revealed that he postponed S3 only because Ram Charan’s Dhruva was releasing on December 9th. 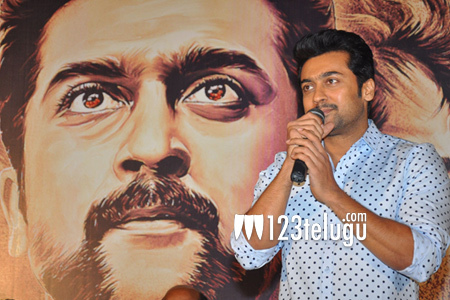 Suriya went on to say that he is forever indebted to Allu Aravind for giving him a great launch pad in Tollywood with Ghajini and wholeheartedly wished that Dhruva will be a huge success.